Microsoft™ Excel Visual Basic (VBA) programming. ​Custom Excel tools for your business. Help with existing Access Databases. Existing MS Access Database that needs updating or refinements. Access Databases that are started and not finished. MS Access Databases. that were developed by someone who has left the company. In all these cases our MS ™ Access programmers can help to take your Microsoft ™ database to the next level. Instead of starting from scratch, we can help you keep what "works" in your database while adding what's "needed". Even if it was written in an older version of MS ™ Access, we can help you update it to the latest version. We can maintain you database's look and feel, or update it to make it smooth and intuitive. The choice is yours. You are the boss. Do you have repetitive Excel tasks that eat up valuable time? ​f so, we can help. We can create "push-button" automation to help you save valuable hours. Click below to view brief example. Starting an Access Database from scratch may seem daunting. Getting the table structure correct, and designing an intuitive information flow is critical to a well designed Access Database. From start to finish, we can help you. Step, by step we will work with you to design "your" Access Database. You are in charge every step of the way. 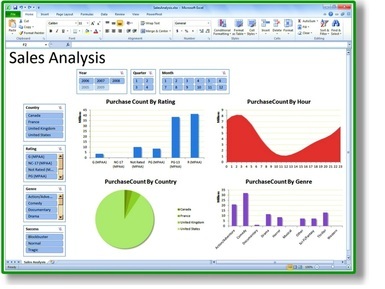 Jon Pearson Analytics, LLC provides cost-effective solutions using Microsoft™ Excel and Access. We provide consulting in Access programming, Excel programming, VBA, and Macros. I am an Excel expert and an Access expert. Sometimes an MS-Access programmer is someone who does Access development or is an Access Developer. JPA provides Excel help, Access help and Macro help. I am an Access consultant and an Excel consultant. So if you are looking for an Access expert, Excel expert, Access Programmers, Excel Programmers, Access Experts, Excel Experts, Excell Programmers, or Access Database Programmers, you have come to the right place. So, if you Support for Excel or Help with Access, Hire an Access Consultant. Jon Pearson Analytics, LLC provides full-service Access Consulting as well as Excel Support. JPA can provide Excel experts and Microsoft Access experts to the UK and London by utilizing net meeting technology. Our Excel experts are happy to train you in MS-Excel. Likewise, our Access experts would be happy to train you in MS-Access. 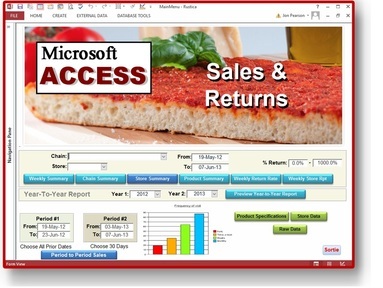 We automate Microsoft ™ Excel spreadsheets using Visual Basic or VBA. Our Excel experts can quickly help you turn your slow spreadsheet in to a push button automated MS ™ Excel spreadsheet. Our Excel programmers have years of experience. We specialize in Excel data transformation tools. Push button Excel tools designed to transform and format data. Our Excel experts can create tools that can be used over and over again, saving you time and money.